Since its inception in 1976, El Sistema, Venezuela’s phenomenal youth orchestra program, has brought social transformation to several million disadvantaged children in that country. In addition to producing world class musicians like conductor Gustavo Dudamel, El Sistema is now a rapidly expanding global movement, changing countless young lives worldwide. How will El Sistema work here in the USA? 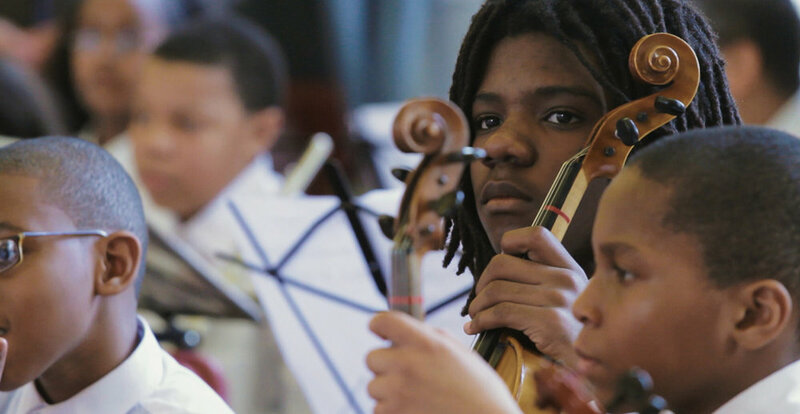 Our film is an in-depth, verité based look at three kids — two in West Philadelphia and one in New York City’s Harlem — as they participate in a pair of Sistema-inspired youth orchestra programs. We watch as our kids struggle to master their instruments, confronting their fears along the way, and interacting with their talented, dedicated teachers. We witness the children evolving before our eyes. In Stanford Thompson’s Play On, Philly! 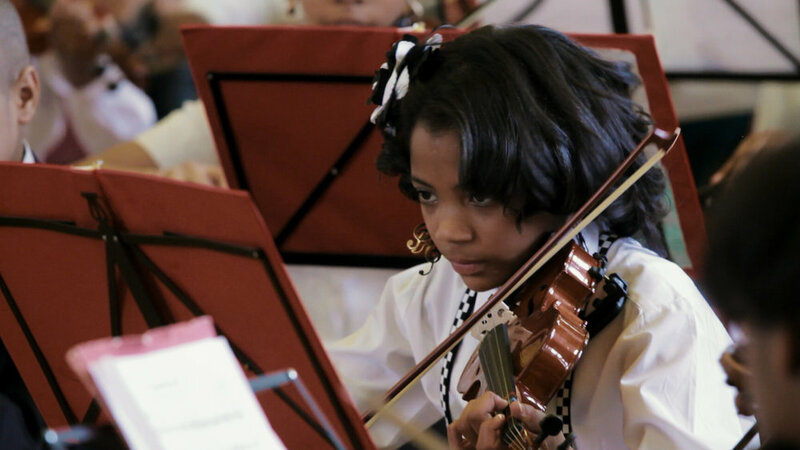 program, 11 year old Raven is a natural on the violin, but her energetic spirit keeps getting her in trouble. We also meet quiet, quirky Zebadiah, 13, whose viola brings him out of his loneliness. Meanwhile, in Harlem, Anne Fitzgibbon’s Harmony Program nurtures troubled Mohamed, their 11 year old trombone star, whose failing grades are casting a shadow on his music-making. Surprises, heartbreak and joy come in big doses as we watch our three young people, and the community around them, responding to the mysterious power of music.